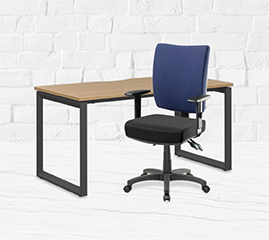 Officeworks is Australia's leading retailer and supplier of office products and solutions for home, business and education needs. As part of the Wesfarmers group, Officeworks has an extensive national footprint operating more than 160 retail stores across every state and territory and employing more than 7000 team members. Officeworks is committed to helping customers make bigger things happen. This commitment is driven by ensuring we deliver the widest range, low prices and great service. With three easy ways to shop - in store, online or by phone, you'll be sure to find exactly what you need with our widest range, when you need, and all at low prices. Plus, you'll enjoy great service via friendly expert advice and helpful services. Our wide range of products is spread across categories including office supplies, ink and toners, technology, furniture, catering products, cleaning supplies and photo, printing and copy services. Continued expansion saw the 100th Officeworks store open in 2007, the same year Officeworks was acquired by Wesfarmers as part of the wider Coles Group acquisition. Under the ownership of Wesfarmers, a new leadership team came on board and a number of exciting changes were implemented including a clear strategic focus on widest range, low prices and great service as well as the introduction of Officeworks' Lowest Price Guarantee. The 150th store opened in 2013 and a year later Officeworks celebrated its 20th anniversary. In 2017 Officeworks introduced the Price Beat Guarantee.